It turns out I like to collect more than just baseball cards and ticket stubs from sporting events. I also have a thing for paper bags. I bring in several each year and use one or two every year. I'm trying to bring myself to get rid of them. But they are so pretty and functional. 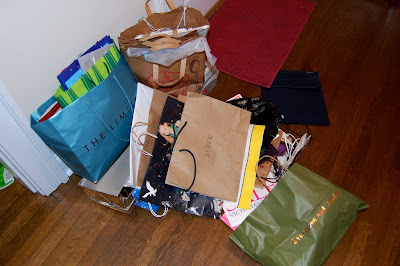 Catherine and I are both bag collectors. She is very selective, me, not so much!